I've just stepped off the bus with my one-year-old baby and nine-year-old son on a sunny fall afternoon. We're on our way to a holiday celebration at our local Chabad center. It’s Sukkot, a biblical Jewish holiday that celebrates the festival of the harvest. Few people in this sukkah, a dwelling made of wooden wallsI'm one of the non-observant ones and poles and roofed with bamboo and green leaves, know I'm one of the non-observant ones. I don’t follow the laws of kosher or Shabbat. After years of trying to feel Jewish on a kibbutz in Israel, I’m hoping for another stab at religion and G‑d, in an attempt to find a deeper spiritual connection. I looked forward to these trips out of the city, to where the skyscrapers would shrink to one or two stories; but confining walls would come down on us the minute we'd enter the front door: "Don't make noise," and "Don't jump on the beds," were my aunt's first statements. At synagogue, time stood still, especially during the mourner's prayer and Kol Nidre on Yom Kippur, as I counted down the minutes. I was expected to fast without an explanation as to why. There was no TV or talking on the phone. I was swallowed in prayer and quiet. What was the use in obeying so many rituals and rules without “tuning into” G‑d? Was G‑d hanging up on me? Did I not pray fervently enough? During my 18 years of living on a kibbutz in Israel, seeing clashes between various Jewish groups caused my connection to G‑d to move even further to the opposite side of the spiritual pendulum. I grab one of the few empty places in the sukkah, and immediately the same old ashamed internal voices descend on me again. At one point in his talk, this young fervent rabbi looks directly at me, and I'm wondering if he knows about my background and how I was brought up. All my life, I was made to feel different, and if I didn’t play by the rules then I wasn’t a “good,” serious Jew. Is that how I want my son and daughter to feel? Do I have what it takes to connect? Million dollar words then pour out of this fervent rabbi’s mouth. “Praying to G‑d is not something we have to do. We pray to G‑d as a way to tune in to G‑d.” Tune in to G‑d. I like that. Like a radio signal or wave. My heart opens. I allow myself to trust again. The young rabbi speaks again, this timeTune into G‑d. I Like that. about what it was like to attend services in the presence of the Rebbe, Rabbi Menachem Mendel Schneerson, of righteous memory, and how he had encountered G‑dliness by performing good deeds, or mitzvahs. The young man’s father was the secretary of the Rebbe for many years. In unison we say "Amen," and my "Amen" rings out with conviction. As I lift my one-year-old in her long sweater dress, I come face to face with yet another rabbi. “Good Shabbos,” he says with a smile. “Shabbat shalom,” I say smiling back. I may have filled my belly, but something tells me I’ve initiated a spiritual journey of compassion. And this time it won’t be just for the food. Dorit Sasson is the award-winning memoirist of Accidental Soldier: A Memoir of Service and Sacrifice in the Israel Defense Forces and Sand and Steel: The Spiritual Journey Home. Her motivational presentations and coaching empower individuals to sharpen their leadership and tell their story with courage. 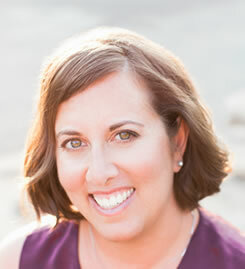 Learn more about Dorit and her coaching work at Giving Voice to Your Courage.